Peter and Robin Asher are designer-builders of unique custom homes. They specialize in view homes on the Oregon Coast and the Willamette Valley. 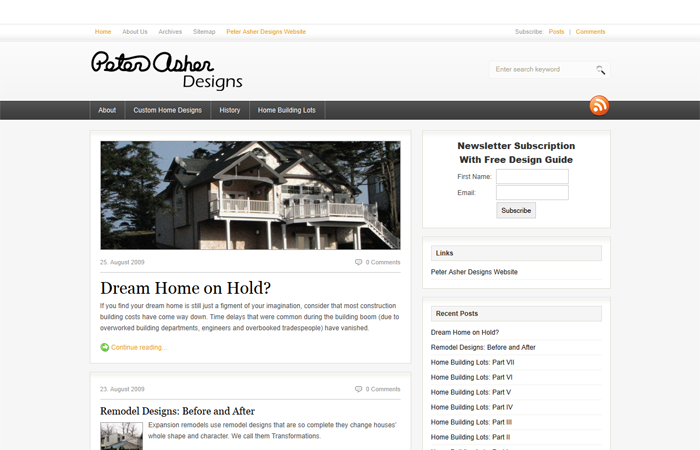 We created this blog for them on a sub-domain of their main company website, which can be found at Peter Asher Designs.